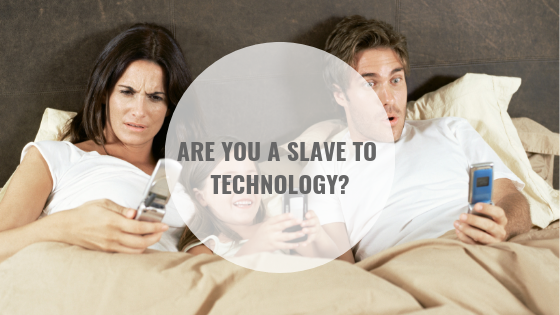 I don’t think I am alone when I say that I am becoming completely overwhelmed by technology. Not being a techy person, it took me a while to warm up to email, then to the internet, cell phone use, texting and lastly social media. Now I have two email accounts, three phone numbers, three websites, a cell, blog, and business and personal Twitter, Linked In, Google+, Facebook, Youtube, Instagram, and Pinterest accounts. I bank online, shop online, do most of my communication by email, manage my business with my phone and computer, and even use an app to meditate. My life is organized into files and folders that are populated with faxed, emailed or scanned documents that are backed-up, saved to disc, or exported to secure places. My car can answer my calls, direct me to new places and even tell me when my favorite songs are playing. My cat has an automatic feeder and my phone is accessed with my fingerprint or voice. Sometimes people send me an email then text me to tell me they emailed me. Or, they leave a voicemail then repeat the contents in an email or fax. Or call me at home, then work, then on my cell. Craziness! So how many people are ready to tech-out? I know some days I dream of a home in the wilderness with no Wi-Fi, TV, computer, or cell service. My love-hate relationship with technology has been an ongoing emotional versus productive battle inside my head for some time. While I am trying to model appropriate technology behavior for my children, the pace at which the world seems to be operating, and the time-sensitive nature of my clinical work, requires me to work-from-home some nights, visit the office on a weekend, and respond to texts after hours. I am not proud of this and feel that I failed miserably in the past to keep an appropriate balance. So, I have decided to make some changes. While I cannot change the pace at which people try to reach me, I can change the pace of my response and can learn to reduce the guilt I often feel when my response is delayed, or when a nice evening at home took priority over my inbox. A recent survey conducted by the Centre for Addiction and Mental Health (CAMH) has identified that 19% of adults in Ontario suffer from moderate to severe problematic use of electronic devices. Something must be done to combat this problem. In France, it is illegal for employers to email their employees after hours. I am not sure such behavior needs to be “illegal” beyond ensuring that the employee cannot be fired or demoted if they don’t respond after-hours, but this law shows the extent to which people feel pressured to communicate at all times – whether it is the right time or not. I had a comical interaction with a friend one night that highlights this. Working late, I had sent him an email asking a question about a service they provided. He responded quickly with a “yes,” while failing to answer my other questions. I humorously responded with a “thanks for your wordy response” to which he added “considering that I am out with my wife for our anniversary I think I said too much”. Agreed. Work at Work. I have an office at which I am extremely productive. Lugging my computer back and forth from work to home is not good for it, my back, and tends to anchor my evenings to work when I have a list of other things I would like to be doing. So, I plan to leave my computer at the office. While I may become slightly behind on my emails and may not tackle as many things on my “to do list” my family will enjoy my presence and my evenings will be much less stressful. Phone Off. In speaking with my techy husband, I asked about ways I could set some firm boundaries with my phone. I wanted to limit texts from work contacts and stop my business email from surfacing on my phone after 5 pm and on weekends. Low and behold with an iPhone you can’t do that. Sure I can use airplane mode or do not disturb, but this limits contacts from all people, and there are some people (my friends and family included) that I would like to be able to communicate with at any time. So, I visited Roger’s and they too confirmed that I can’t be selective about who, how and when people can reach me. My options then were just to behave differently (don’t check email or texts from work contacts), or to get an entirely different phone with a new number and “personal email only” set-up for after-hours. While I still believe that one email or text can completely derail an evening or weekend, for now, I have decided that when home my phone will be anchored to a spot in the kitchen on airplane mode. When out, I will do my best to not read or respond to work messages until the following business day. Go Public. To get the support of my team, I told them my plans. This included my work hours and desire to set firm boundaries around my technology time. We realigned our operations to divide roles and duties to reduce the triplication of emails to multiple people, and to ensure that people had clear lines of accountability – instead of their habit of going to the person they thought would respond first (typically me). My team was very supportive! I also involved my family in my decision to leave my computer at the office and to limit after-hours phone time so that they too can encourage me along the way. No, I am not perfect and will slide at times with the boundaries I am trying to set. But even if I can accomplish half of my intention, I am 50% better than my experience of last year. In the end, I guess I just want my enjoyable life to include a reasonable amount of technology, and not for technology to result in an unenjoyable life. 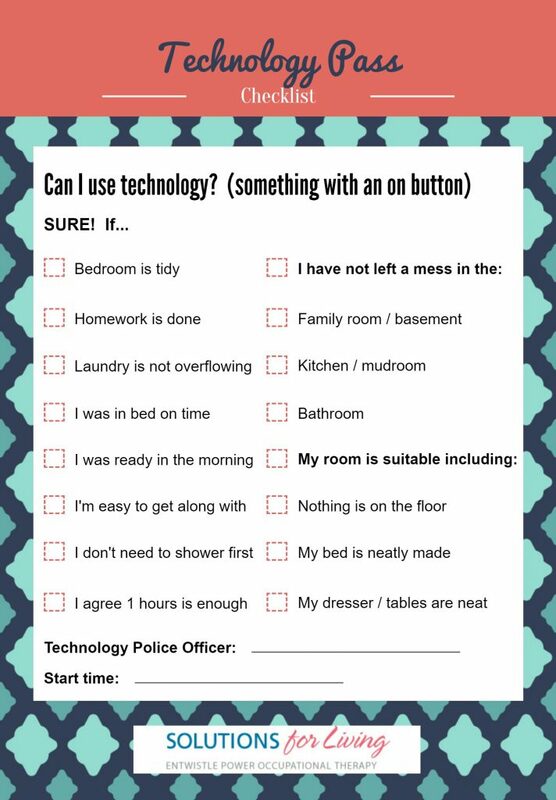 If you are having trouble getting your children to power down try our free printable Technology Pass (below)– it’s a game changer! 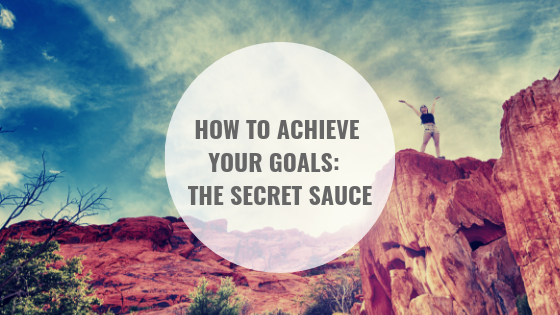 What if I told you that there was one easy way to achieve the goals you have set for yourself? Could it be that simple? People are complicated creatures, true. But if you have taken the time to set goals, are you measuring these and achieving them? Are you working on your goals every day? Here is the secret sauce…with every fork in the road, and there are tons of them, ask yourself: which decision aligns with my goals? Let’s take health as an example. Your goal is to lose weight, be more active, or be less breathless at the top of the stairs. So you get to work and the first decision is: should I take the elevator or the stairs? Then it is lunch and you have the option to work at your desk or go out for a short walk. Or you don’t bring a lunch and need to decide if you should buy pop or water. The salad or burger. 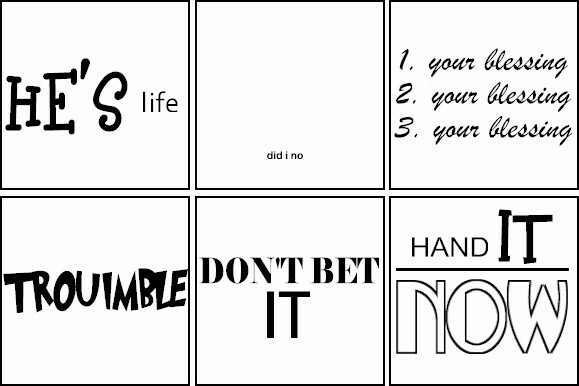 With each of these examples, one decision aligns with your goals and one does not. Yet if you continuously choose the option that aligns with your goals, results will follow. 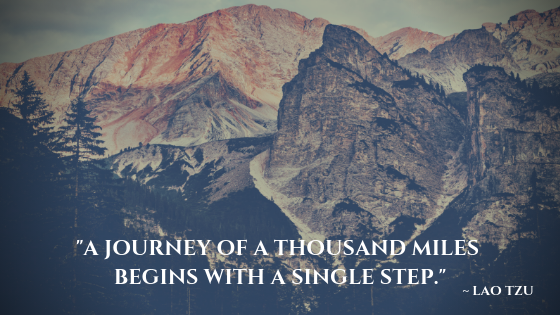 This is true even if you make a small decision in the right direction – like taking the stairs for one flight then catching the elevator for the rest of the ride. Or instead of ordering the salad, you just choose to not order the fries. Using my life as an example, I have five key goal areas: health, family, career, finances and personal growth. Every evening I have the option of bringing my computer home to continue working into the night. 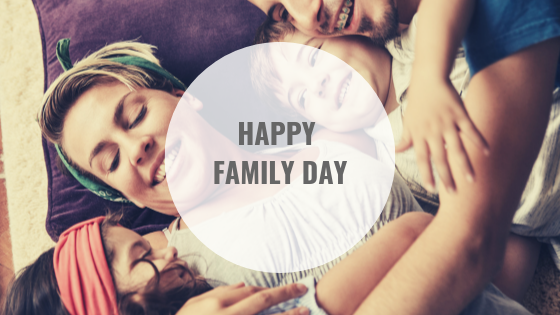 To do so may align with a financial goal of earning a suitable income, and a career goal to run a successful business, but it negates two other important goals of health (working means I will not exercise), and family (working means I won’t be spending time with my children). So, I have a conundrum. But in these cases, the reality is that my day at work has already been spent on my career and financial goals, while my other goals have taken a backburner to work time. So, considering this, aligning my evening time with two different goals helps me to make the important decision to leave the computer at the office, minus the guilt that comes from leaving some work unfinished. Yes, achieving goals takes discipline, but it is far easier to make small consistent choices, then to make a drastic change that might not be sustainable. So, on the path to awesomeness that involves you setting goals and blowing these out of the water, just ask yourself daily, as you need to make decisions around your behavior and time, “which option here will help me to achieve my goal(s)?” Then, as you align your decisions with your top priorities, results will follow. It is the New Year — a great time to set goals for the year ahead. Take a look at our Goal Planning Guide to help you set and achieve your goals in 2019! 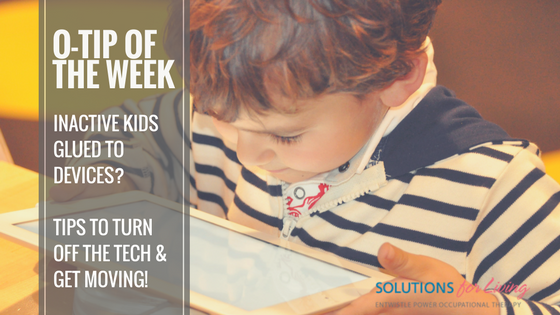 O-Tip of the Week: Simple Ways to Turn of the Tech and Get Kids Moving! Spring has finally sprung and what better time than to add some healthy activity to your life. 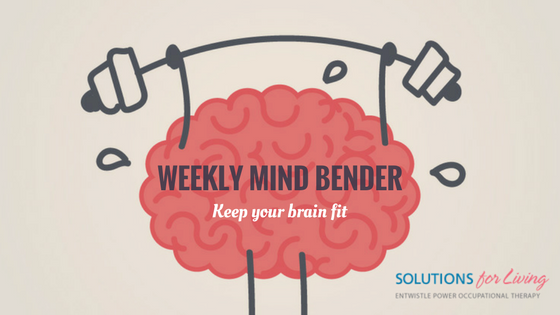 So, for the month of May, our series will be providing tips to help you get physical! Do you struggle to get your kids to power down and get active? Devices can be addictive and detrimental to mental and physical health so it’s important to create a healthy balance. Our Printable Technology Pass can help parents get their kids to power down and get active! February is Heart Month and while many of our blog posts will focus on prevention through good health habits, we want to also provide you with some tips for recovery. 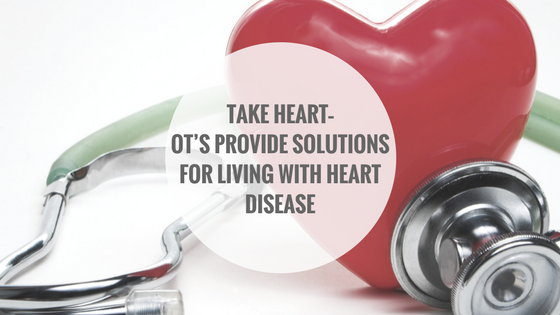 Heart disease has a major impact on an individual’s quality of life. 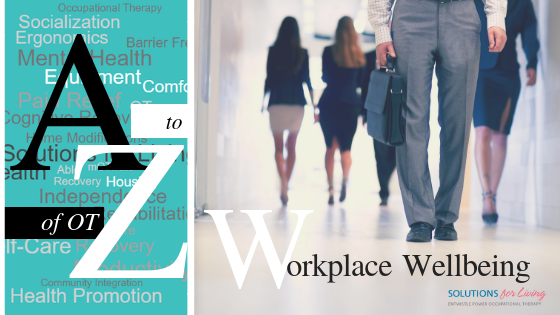 It can lead to discomfort or chronic pain, activity limitations, disability and unemployment. “An estimated 345,000 Canadians aged 35 to 64 reported living with heart disease. More than a third (36%) of these reported needing help with household tasks or personal care” (Heart and Stroke Foundation of Canada, 1999). Heart disease requires lifestyle changes to prevent progression of the disease, further cardiac events and activity restrictions. An occupational therapist, in conjunction with other team members, will help you determine what activities you can safely perform and how to modify activities to decrease the amount of energy required. Learn more about the solutions an Occupational Therapist can provide in the following infographic. For the month of November, Fall Prevention Month, our O-Tip series will concentrate on preventing falls at home and in the community. 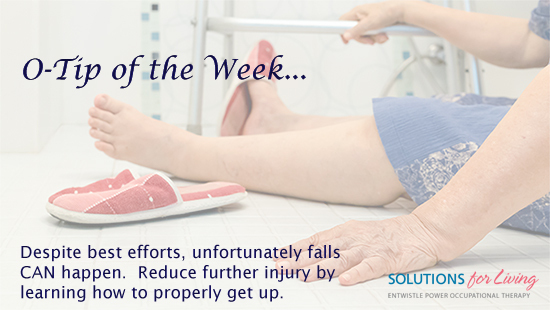 Despite best efforts to reduce the risk of falling at home and in the community, falls DO still occur. 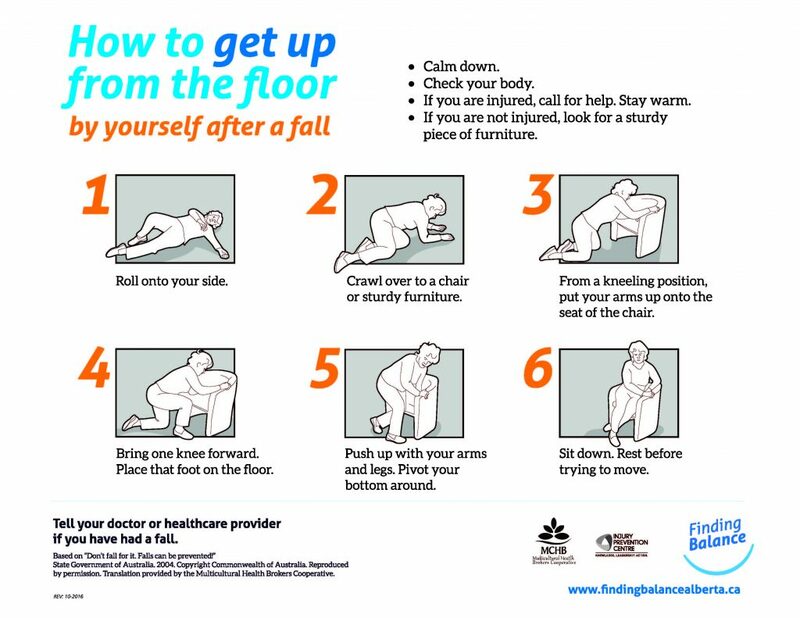 It is important to be aware of the steps to take to get up from a fall to help prevent further injury. 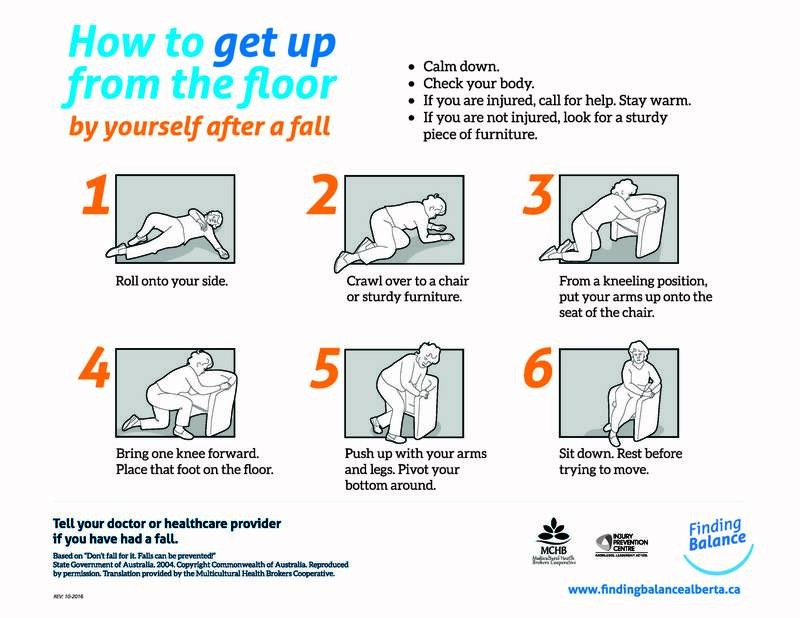 Find more helpful resources on Fall Prevention by visiting http://fallpreventionmonth.ca/. When I was a kid I loved the movie “Back to the Future” with Michael J Fox. I remember clearly the scene where it shows his parents in the 50’s at a gas station – back then, “full serve” meant windows were cleaned, the car shined, tires pumped, and of course your gas tank refilled. It was like the pit-stop at a NASCAR race where you would have multiple people at your vehicle getting you on your way quickly. Fast forward to today where “full-serve” is uncommon, and finding a station where someone can fill your tank while you wait in the car might require you to venture out of your way. So, how does this translate for people with disabilities? Well, firstly, there are many people that can and do drive a car regardless of a mobility impairment. Cars can be modified to accommodate the specific needs of many people with physical challenges. Hand controls, left-footed gas pedals, spinner knobs, automatic wipers, voice controls…to name a few. That is all fine while the vehicle is being operated, but what about when it is time to refuel? It is possible, but not always efficient or safe, for people with a physical impairment to get out of the vehicle, grab their mobility device, and wait outside the car in the elements to refuel. Not to mention the safety risks of these tight spaces, other vehicles, and fall / slipping hazards of wet and uneven ground. Considering the move away from “full-serve”, I wanted to look in detail at the services offered by gas stations to help people to refuel when mobility is a challenge. 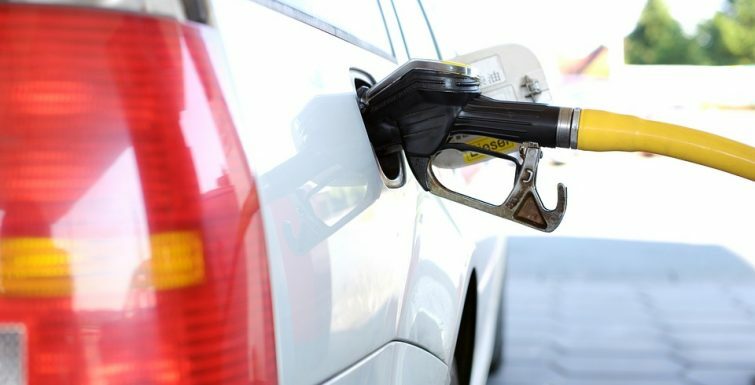 I was surprised at what I found – some stations have well listed policies that are clear and supportive, while others have no policy or tell people to “call ahead” before coming to refuel. Self-serve only stations: While some of our stations have designated Disability Fueling Assistant hours where more than one attendant is available, often there is only one attendant on duty at self-serve stations. We recommend you call ahead to see if appropriate staffing arrangements can be made. Contact information is available on the Esso Fuel Finder. Drivers with a disabled parking permit will receive full service at self-serve prices at stations with both full and self-serve pumps. The gas station attendant will fuel your vehicle at the self-service island so that you pay only the self-serve price for fuel. Customers should identify themselves to one of our gas station attendants. Please note this service is available only during full service hours. At self-serve only stations, staff will make every effort to help customers displaying disabled parking permits with refueling. Please identify yourself to one of our gas station attendants. We also encourage you to contact your local station to discuss your individual needs as some stations have limited staff and payment access. At participating split-service stations, a site which provides self-service and full-service at the islands, drivers with an accessible parking permit will receive full-service at self-serve prices. The full-service attendant will fuel your vehicle at the self-service island so that you pay only the self-serve price for fuel. At participating self-serve stations, customers with an accessible parking permit can drive up to a two-way call station located at the fuel island and press the button to speak to the attendant inside the store to request assistance with fueling their vehicle. Pioneer’s site only speaks to assistive devices, communication, support persons and service animals, but does not address the challenge of people with physical impairments being able to refuel. For non-full serve stations, people are required to schedule an appointment with the retailer for refueling. ONRoute locations offer full serve to all customers between the hours of 7am and 10pm, 7 days a week. 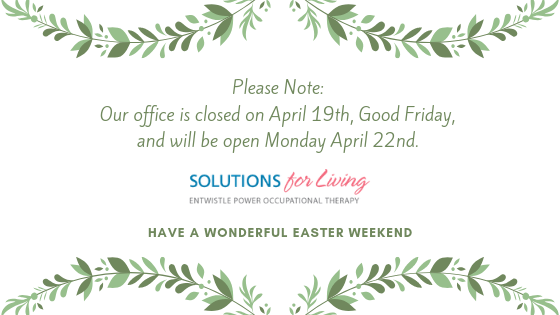 For service outside of these hours, an appointment is required. Those using the full serve through the Disability Assistance Program will be charged self-serve prices. In summary, I was impressed by what I found and applaud Shell, Esso and Petro-Canada for being so progressive and supportive on this issue. For the rest, I presume that the Accessibility for Ontarians with Disability Act (AODA) will require those that are behind in offering disability-friendly refueling options to develop policies and procedures and to post these to be easily found on their websites. In the meantime, I trust those drivers with mobility issues will use and benefit from what Shell, Esso and Petro-Canada have to offer people in their situation.